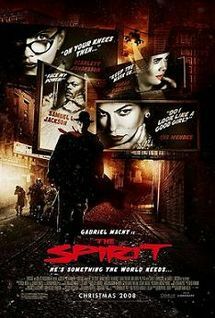 For my analysis project i plan to look at the Frank Miller film The Spirit. This super hero comic book adaptation turned crime and action movie contains many of the same themes and stylistic characteristics of a traditional noir film, while still retaining the super human and unrealistic aspects of a superhero action film. As we discussed, the key here will be to make an argument for how the supernatural elements of the film move the film away from traditional noir territory, and the consequences of that for our understanding of the film.